“Engine overheated! 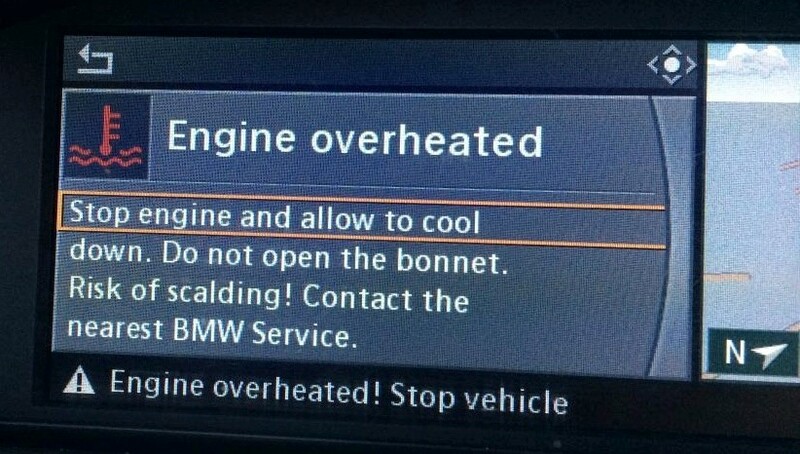 Stop engine and allow to cool down” (see Figure 1). Fortunately, my daughter was nearly home, so she got the car home, shut it down and called me immediately (I was on the road somewhere…Washington DC, Philadelphia, Knoxville, Chicago, Toronto…I don’t even remember where anymore). I called my trusty mechanic (Chuck) and he was able to work my car into the schedule when I got back home. So I am paying $500 to fix a problem (overheating engine) that does not exist. And, problems like these could get a lot worse in our new “smart” world. As more and more sensors get added to more and more appliances, vehicles, devices, machinery, equipment, and devices, the probability and impact of the false positives as they become connected in the Internet of Things world grows exponentially. The interplay between the sensors and any malfunctions (whether sensors wearing out or poorly designed sensors or criminally hacked) dramatically increases the potential of the Internet of Things world sending out false messages – sensors “crying wolf” about a problem that does not really exist. And while these inadvertent messages can quickly wear down the customer experience, fixing these false positives costs money – real money – and likely real money to the customer. Complexity seldom works to the benefit of the user or customer. Adding more sensors to any device increases the potential to negatively impact the customer experience if manufacturers do not give careful consideration to where and how these sensors are going to make the life of the customer – my life – better. Paying to fix problems that do not exist is not a good start. There are others as well who got the memo about the importance of providing a more engaging customer experience and the resulting increase in customer satisfaction, customer loyalty and customer advocacy and likelihood to recommend. Does the collection of the data improve my user experience, or does it only provide the manufacturer with more ways to exploit my personal usage? What are the potential customer experience, customer satisfaction and customer advocacy ramifications of the above question? Does all the added complexity benefit the customer or does it just benefit your organization? If the added benefit does not outweigh the added cost and complexity, rethink your Internet of Things strategy and approach, and rethink that strategy and approach from the perspective of your customers. Getting things right with your customers is usually a pretty good strategy.